Following Xiaomi’s Mi Mix 2S earlier today, its Chinese counterpart Huawei has officially unveiled its newest flagship lineup, the P20 and P20 Pro, at a launch event in Paris. And it’s everything we’ve come to expect from this supreme Chinese phone maker. Cloning features from Apple has become a pet hobby for Android phone makers. Huawei is no stranger to the same as it showed off its Animoji alternative earlier last year alongside the launch of the Honor View 10. This time Huawei has embraced the notch trend with open arms and it’s evident from the P20 lineup. This will be the first thing you’ll notice on all the devices in this new flagship series. To bring the tiny notch to life, the Huawei P20 features a 5.8-inch Full HD+ RGBW display, with a 19:9 aspect ratio whereas its Pro variant sports a much taller 6.1-inch Full HD+ OLED screen to provide you an even crispier viewing experience. The aspect ratio may look odd to you at first, however, the extra screen space has been added to embrace the notch. The fingerprint sensor is placed underneath the display in both phones. If you’re not the biggest fan of the notch then Huawei allows you to ‘hide it’ with a dark status bar instead of the transparent one. Moving on to the internal specs sheet, both the flagship P20 and P20 Pro are powered by the company’s in-house HiSilicon Kirin 970 chipset. The Huawei P20 combines a 4GB RAM and 128GB inbuilt storage, while the P20 Pro packs 6GB RAM and 128GB storage. The former features a 3,400 mAh battery, while the latter packs a 4,000 mAh battery pack that will easily last you a day. If not, you can charge it quickly, thanks to Huawei’s SuperCharge technology. The Huawei P20 is 1P53 certified, whereas the P20 Pro features IP67 splash resistance. It would have been much better if the company had made its devices completely waterproof. Coming to the camera, this is the most significant change in the new P20 lineup. The Huawei P20 comes with a 20MP monochrome sensor, with a f/1.6 aperture and 12MP RGB sensor, with a f/1.8 aperture in tow. The 1.55-micron pixel captures more light, justifying the ‘See More Light’ tagline for this lineup, and you will be able to capture great detail in every picture. 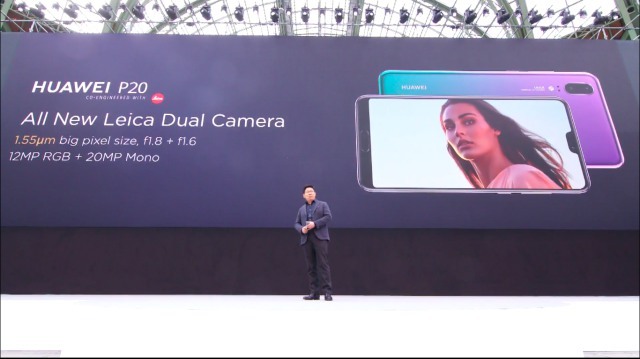 The P20 Pro, on the other hand, is the first-ever Android smartphone to feature 3 cameras on the rear. The main camera is a 40MP RGB sensor, coupled with an 8MP telephoto lens and a 20MP monochrome sensor that sits beneath the duo mentioned above. 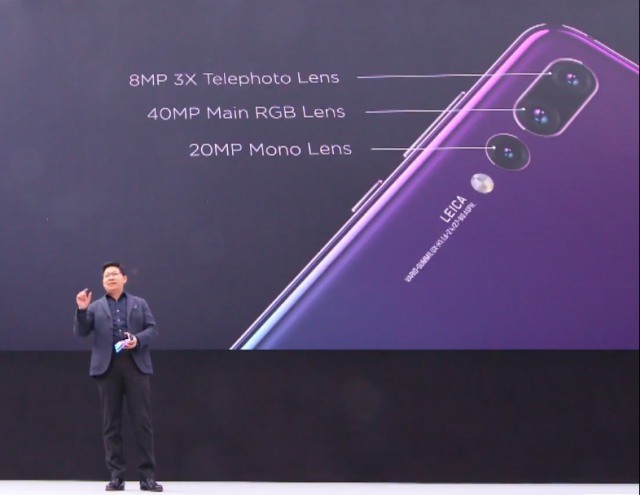 This allows the P20 Pro to achieve 3x optical zoom and an ISO value as high as 102400, which has only been possible with DSLR cameras until date. Given the hardware, it’s unsurprising that the Huawei P20 pair feature the best DXOMark scores till date. 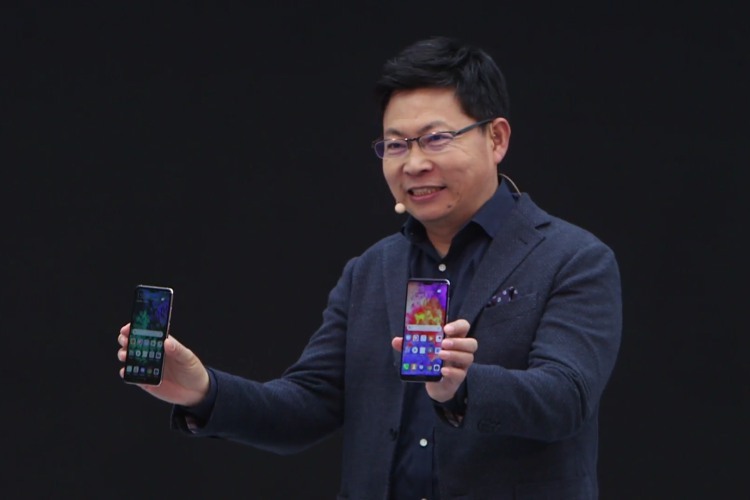 The P20 earned a total score of 102 points, while the P20 Pro earned 109 points to top the company’s tests. And not just optical zoom, the triple camera setup on the P20 Pro also presents you with 5x hybrid zoom and 10x digital zoom functionality to enable the capturing of precise colors and details in pictures of faraway things. It also features four different types of AF (auto-focus systems) namely laser, phase detection, depth and contrast, which have been combined into a system called 4D predictive focus. 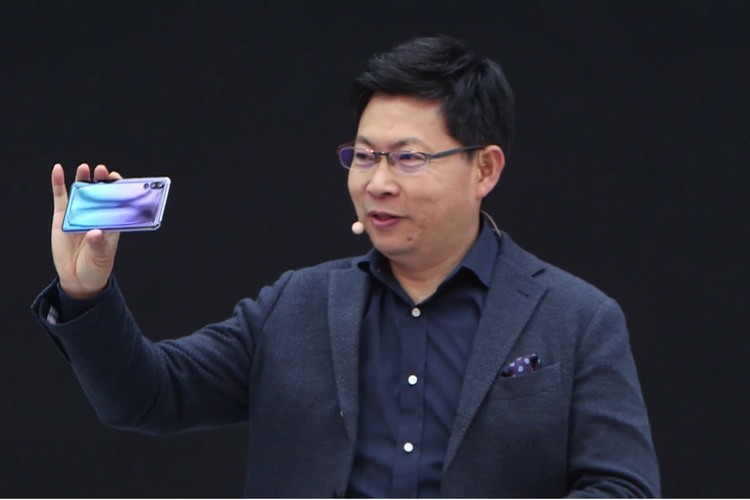 Huawei has also included a laser transmitter and receiver on the P20 Pro, along with a color temperature sensor that’s been packed inside the flash on the rear. The camera system developed by Leica, as always, makes it possible for P20 Pro to capture super high dynamic range. Much like the Samsung Galaxy S9, you can capture super slo-mo videos at 960fps as well. The front camera on both the Huawei P20 and P20 Pro is a 24-megapixel shooter, which makes it more than capable of capturing beautiful selfies. The front camera is also a key component, making their Face Unlock feature a possibility. In terms of software, both phones will run Android 8.1 Oreo out of the box with EMUI 8.1 as Huawei’s proprietary skin on top. There’s no doubting the master tipster Evan Blass, popularly known as evleaks, when one is discussing the topic of smartphone leaks. Falling in line with this prediction, the Huawei P20 has been priced at €649 whereas you’ll have to shell out €899 to grab the much more impressive P20 Pro. So are you impressed or not? Tell us in the comments below.